I found myself being reasonably jealous of a friend who deleted their Facebook profile a couple of weeks ago. I mean I can comprehend the reasons to, or to not have a Facebook page, but when someone actually cuts that cord, I can see the freedom on the other side of the decision, and in turn end up a bit jealous. I've said a few thousand times that Facebook had become too much. Too much information, too much invasive behavior, too much laziness from the people you expect laziness out of. Don't log into Facebook for a few days? Facebook will find every way that it still has access to, to bug the crap out of you until you log back in. Get rid of phone notifications and it will invade your e-mail, get rid of that and somehow it will give you windows notifications. Buzz the Hell off already will you? Most of the notifications are wholly unimportant. The latest insanity was all the people who will only have contact with you on the Facebook Messenger. I would install it, just to get the messages, uninstall it, because it is a cancer on your cell phone. Pops up at all times, covers your screen with those stupid chat heads. I seriously start wondering about the people that use it, and definitely wonder about those that only use it. What about your relatives that treat your Facebook wall like it is a private e-mail? UGH! 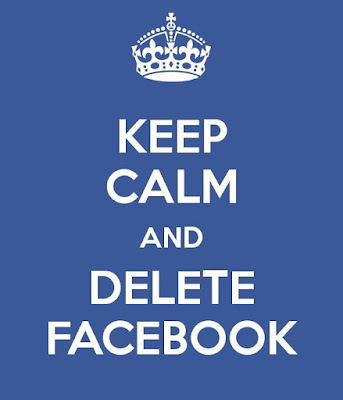 Exactly one week after I finally deleted my Facebook account, I found out that I was right all along. The positives far outweigh the negatives. Now I can spend time paying attention to the people that actually are in front of me. I just have to remember some of them don't like being poked.